In 1962, The Barn Colony created and produced the first juried art show in downtown Decatur. Held the third weekend in September, it was called the Downtown Art Fair. 'Juried’ means artists must submit slides or photographs of their work which are reviewed by a jury (a knowledgeable committee) and accepts artists into the show based on technical skill, creativity, the medium, and/or other requirements. (Barn Colony) In 1939 local artists formed a group for the purpose of shared learning as well as providing arts education to the community. This group met on the ground floor of the barn/carriage house at the James Millikin home, 125 North Pine Street. The group adopted the name "Barn Colony" and met regularly in the barn for the next 30 years. In 1969, the Barn Colony Artists invited the newly-established (1968) Decatur Area Arts Council to be a partner in producing the art fair. In 1983, the Downtown Decatur Council took over the planning and producing of the Downtown Art Fair and continued with the third weekend in September. There was no jurying and an average of 100 artists showed their work for sale in Central Park and on the streets of downtown Decatur. Wanting a higher quality show, Barn Colony and the Decatur Area Arts Council got together and decided to start a separate juried fine arts fair on the grounds of the Millikin Homestead. To avoid interfering with the Downtown Decatur Council’s art fair, it would be held in the spring. 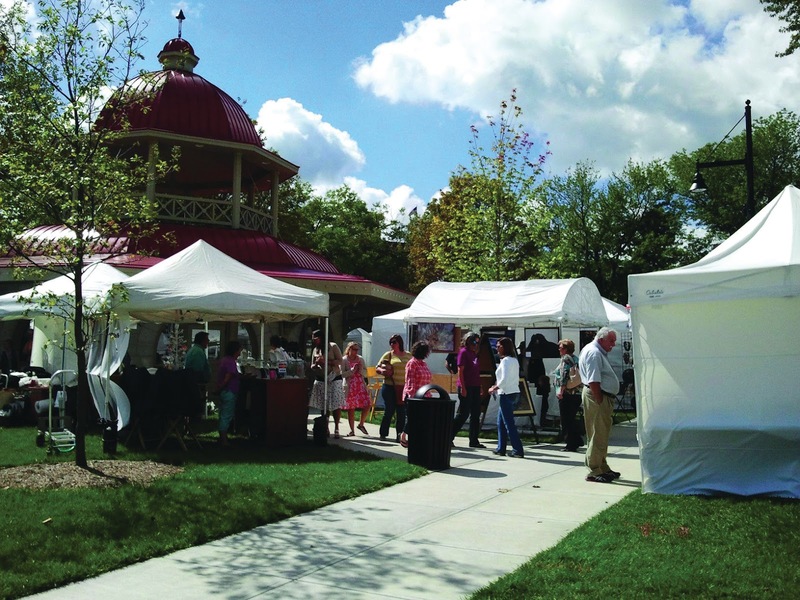 In 1991, Art on Main became the new spring juried fine art fair on the grounds of the Millikin Homestead which was created and produced by the Decatur Area Arts Council and Barn Colony. In 1992, the Barn Colony decided not to continue and Gallery 510 Arts Guild stepped up to partner with DAAC. Art on Main was held from 1991-1994. Nova Framing is also located at 160 East Main Street and is wholly owned by the non-profit, Gallery 510 Arts Guild, Ltd. Profits from Nova Framing are used by Gallery 510 for visual arts programming and support. With changes in personnel and the desire for a strong “arts” fair, Downtown Decatur Council, Decatur Area Arts Council and Gallery 510 negotiated to hold one juried fine arts fair in Central Park on the third weekend in September. In 1995 Arts in Central Park was born. Although the event was and is primarily a visual art fair, it was decided to use the word “arts” in the name instead of “art” with the goal to present other art forms during the weekend. When the Downtown Decatur Council was dissolved in 2010, Arts in Central Park became a collaboration of the Decatur Area Arts Council and Gallery 510. That relationship continues today. Minor changes have occurred with Arts in Central Park since 1995 but the basic premise has not changed and is still going strong today. We feel proud of the collaboration that has occurred with the different organizations over the years and honored to present to the community a quality fine arts fair. The Decatur Area Arts Council serves the arts in and around Decatur by: • Creating an environment conducive to the development and growth of individual artists and arts organizations in all disciplines. • Promoting and facilitating partnerships within the community to nurture arts opportunities • Encouraging arts education opportunities. • Acting as a conduit for arts information. • Engaging culturally-diverse and underserved populations in the development of the arts.